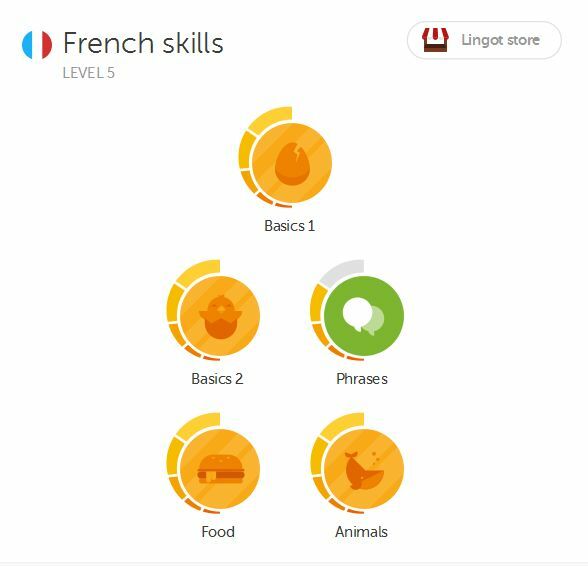 I've recently discovered a fantastic website that lets you learn French for free called Duolingo. Some screenshots are pictured on the right-hand side and the course is similar to the online maths course called Khan Academy, which some of you may be familiar with (which incidentally has the curriculum in both English and French too). Basically you create an account and if you're not a complete beginner can then do a test to determine your level and skip forward through the course to the point that you're at. (A fair amount of importance is placed on le / la, so if you know verbal French well, but are atrocious at masculine and feminine, you may still have to start with the basics. 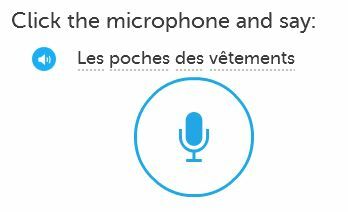 Recording your own voice, with software designed to detect whether you're pronouncing the French correctly or not. When a new topic is introduced it starts with a page or two of information necessary to perform well in that topic and the first couple of questions show an image with the French translation, which makes it very easy. It seems to be designed to use words in answers you get wrong slightly more often in order to help you memorize them going forward. 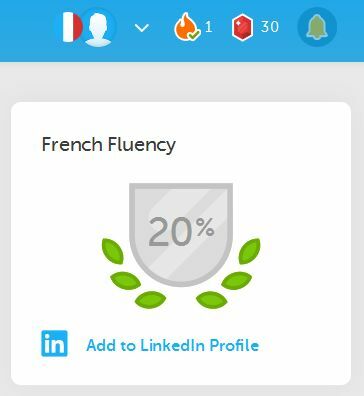 Whether you're homeschooling, at school or want to learn French online for free as an extracurricular activity, I'd highly recommend Doulingo. It's a fun, fast-paced way to learn the language and I found it quite addictive, which I can't say for other methods I've tried! They also offer courses in various other languages including German, Spanish and Portuegese.